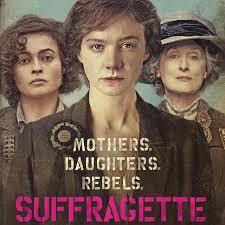 On October 28, 2015 the Commission hosted an advanced screening of Focus Features’ film ‘Suffragette’, which documents the grass-roots efforts of the British Suffragettes during the early 20th century. Prominent members from the local academic, museum, and non-profit communities attended the event. Jane Abraham, the chair of the Commission, introduced the film and provided a brief summary of the Commission’s mission and work.